January 15, 2019	12:41 PM CDT By W. T. Whitney Jr. The notion of gradations of emergency is thus before us. The question emerges as to how high the state of emergency applied to Cuba since 1996 ranks in importance. It has served then and since as an attempt to legitimize economic blockade against the island. The U.S. government regularly reaffirms that state of emergency. President Trump did so in February 2018. 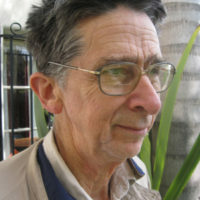 Even with states of emergency entering into national discussion, commentary objecting to the Cuban blockade having been framed as an emergency seems not to have surfaced. The assumption follows that maintaining the U.S. blockade against Cuba and exerting controls over Cuba generally are serious matters in official Washington. Indeed, during the current partial government shutdown, full funding continues for the Office of Cuba Broadcasting, the U.S. propaganda arm against Cuba. Yet government security personnel working at airports go without pay. Evidently U.S. policymakers do perceive Cuba as posing danger. To have provoked a top-ranked state of emergency, the hazard must be considerable. The White House – based Council of Economic Advisors did identify trouble from Cuba, if only indirectly. Its 72-page report released in October 2018 takes aim at socialism. Star players in the account are the USSR, Mao’s China, North Korea, the “Nordic countries,” and single – payer health care in the United States. As if to illustrate the urgency of clamping down on Cuba, one such missile is heading north exactly now. It’s a news item explosive enough to excite a firestorm of renewed criticism of U.S. failures on behalf of the common good. 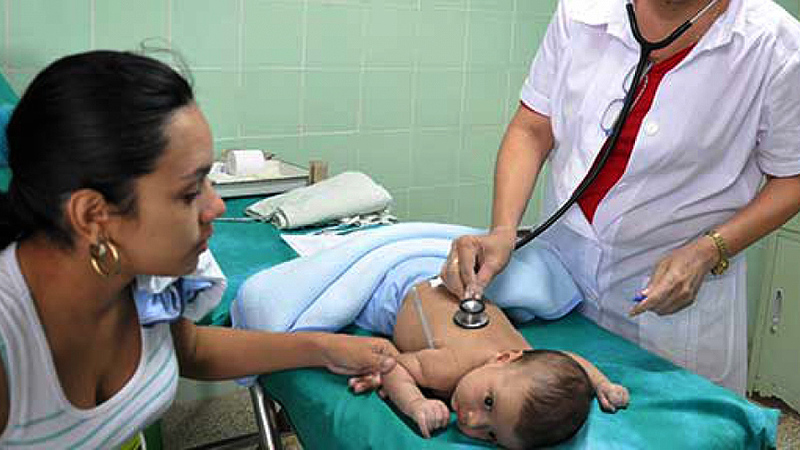 Cuba’s recently announced its infant mortality rate (IMR) for 2018. At 3.963 infant deaths per 1000 live births, it stands as Cuba’s lowest rate ever – but not by much. The 2017 IMR was 4.044. Cuba lost four more infants that year than in 2018. Cuba’s IMR has remained less than five for 11 years. It exceeded 60 prior to 1959 and was down to 38.7 in 1970. The 2017 IMR for all of Latin America and the Caribbean was 15. Low infant mortality reflects specialty care that is skilled, accessible, and technically advanced. There is the matter too of competent and accessible health care at the community level that attends to both prevention of illnesses and treatment. With its 10,869 offices throughout the island, Cuba’s Family Doctor and Nurse Program, in place for 35 years, undergirds that effort. Cubans visited those offices 65,610,355 times during 2018. Cuba dedicates 13 percent of its national budget to education, a larger portion than does any other nation in the world. Cuba’s 2019 budget dedicates 51 percent of its outlay to paying education and health care costs. Yet another missile is aloft. Cuba is currently celebrating the ascendency of women. Now for the first time in 290 years a woman is rector of the University of Havana. She is Miriam Nicado García. Now, reports Resumen Latinoamericano, “Women represent 81.9 percent of the academicians, teachers, and scientists” in Cuba. They represent 60.5 percent of Cuban university graduates and 67.2 percent of technical and professional workers there. At present, 322 of the 605 members of Cuba’s National Assembly are women. That’s 53.2 percent. There’s little mystery, of course, about societal and political contrasts between Cuba and the United States. But to understand the predicament of a U.S. government besieged now on two fronts is not easy. From one direction come hard-to-digest ideas. On the other side, strangers of color and with ideas of their own have arrived, uninvited. Solutions both ways require guarantees for people’s basic needs. If such were to happen, think of the loss of face. So a double state of emergency serving to obfuscate and to distract would in each case mercifully postpone an inevitable calling to account. Addendum: Data we use are from 2016. A diligent Internet search failed to reveal U.S. figures on IMRs and birth numbers for more recent years. One always labors in vain to discover the U.S. IMR for the immediately preceding year. By contrast, Cuba’s Ministry of Health regularly on January 1 releases IMR data for the year ending just hours before. Lastly, to establish contrasts in infant deaths required calculations involving numbers of live births and the IMR. The source for statistics used here is https://datacenter.kidscount.org.